It’s the same in Hatha Yoga: Sure, you want to move into and out of the asanas as well as you can, but if you want more than just exercise, the art of the practice resides in the pauses. What are the pauses in Hatha Yoga? 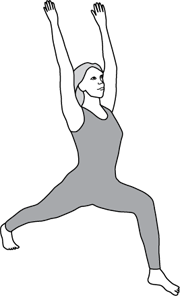 There are several types; the most obvious is the time you spend in a neutral pose after an active asana: for example, in Tadasana between the two sides of Triangle Pose, or in Child Pose after Camel Pose. That’s where I’ll begin this discussion of why and how to do the inner work of playing the pauses. Of course, no one can show you how to do this. As in all art, you need to feel inside how to do it. But I hope this story of how I came to understand pauses will help you. Perhaps that perspective would be echoed today by many people who practice vinyasa yoga, in which there is near-constant movement. Vinyasa has become so popular in the West that many practitioners aren’t even aware that pauses are an option, much less that pauses are a traditional part of Hatha Yoga — and less still would they know what to do with them. Although I wasn’t attracted to the pauses, I found Ananda Yoga to be a superb aid to meditation, which I’d already been practicing for some years. I wasn’t sure how that benefit happened, or if it had anything to do with pauses, but it motivated me to continue. As I paid closer attention to the pauses, I realized that they aren’t about physical rest. Yes, it’s good to rest if you need to, but the true value of pausing in a neutral asana stems from the fact that physical effort no longer occupies your attention, so your mind is free to play the pause. Consciously withdraw energy into your center: the astral, or energy, spine. You sent energy out from your center in order do the active asana, and if energy lingers there after your exit, it will distract your mind. Use your willpower to lift that centered energy up toward the brain, where it needs to go in order for you to meditate well. Use your feeling capacity to carry on, even deepen, the particular uplifting effect that the active asana had on your state of mind. Silently repeat the neutral asana’s Ananda Yoga affirmation to enhance the bodily position’s unique effect on your state of mind. How long should you play the pause? It depends on many factors: overall time for practice, particular aims for that day, which active asana preceded the pause, your need for physical rest, your attention span, and your abilities in the above areas of energy control, willpower, etc. Here’s a general guideline: stay in the pause for as long as you feel that will be more productive than moving on would be. For some people and poses, the pause in a neutral asana might be 10–15 seconds. As one learns to play the pauses skillfully, that period can be longer. I soon realized that active asanas, too, have pauses: when you’re fully in the pose and your only physical task is to hold the position. With no further movements to orchestrate, the mind is relatively free — depending on the effort required to hold the position — to help uplift consciousness. Now the Ananda Yoga asana affirmation can be at its best: fueled by the energy you’re exerting, the affirmation can amplify that asana’s particular effect on your consciousness. Here again, I was learning to play the pause. One can begin affirming even before then, but it’s particularly powerful during the pause. This had a marvelous effect on my practice. Whereas before my mind had tended to wander during the pause, I could now give it something specific to do that heightened the inherent consciousness-raising benefit of the asana. The pauses became the heart — and the art — of the practice, and the active asanas no longer seemed so different from the neutral asanas. How long to pause during an active asana? Just as in the neutral asanas, there are many factors, but again, in general, stay in the pause for as long as you feel that will be more productive than moving on would be. Consider, for example, the yogic breathing techniques. These have a twofold purpose: (1) to have a technique-specific influence on your mind, and (2) to slow down or stop the breath, i.e., to create a pause in your breathing. Why slow the breath? Because the breath, being a living connection with the external world, also draws you outward, away from your center. The deeper or faster your breath is, the more your awareness will be pulled outward. But if you practice with smooth, slow inhalations and exhalations, both breath and mind will become quieter. Then the brief pauses that always occur after inhalations and exhalations will naturally begin to lengthen. If you don’t force the breath or the pauses to be long, the mind will grow quieter, and a quieter mind is a more powerful mind. The heart too quiets, which helps develop your intuition. This makes the pause between movements of the breath the most effective time to pray or affirm. Another way to play the pause is to chant AUM silently and repeatedly at the spiritual eye. It’s a powerful aid to bringing energy and awareness to the spiritual eye. So pauses are not merely part of the practice; they are its goal. Now there’s a paradigm shift! Pauses are also the goal of meditation, because the higher states of meditation happen during kevala kumbhaka: effortless retention of the breath, which is a natural outgrowth of complete inner calmness and relaxation. As the breath becomes still, so do your thoughts, and the mind becomes free to soar toward superconsciousness. For example, when practicing the Hong-Sau meditation technique taught by Paramhansa Yogananda, savor the pauses between the breaths. Don’t forcibly lengthen them — don’t control any aspect of the breath in Hong-Sau practice — but do enjoy the freedom they bring. Absorb yourself in the stillness between breaths, and listen intently to the inner silence. Feel as though you’re bathing your consciousness in divine peace, for that’s exactly what you’re doing. It will rejuvenate you on every level. Then you’re really playing the pause. In my 30+ years of practice, I’ve come to understand that pauses are not merely an important part of the practice; they’re the essence of it. That’s certainly not how most hatha yogis view the pauses! Of course, what happens between pauses is also important, for the active parts of the practice offer their own benefits. Their highest aim, however, is to help the pauses be longer and more fruitful. And if done skillfully, the pauses will in turn benefit the active portion of your practice by helping you be more aware, focused, and centered as you act. Think of these two aspects of Yoga practice — action and pause, yang and yin, masculine and feminine — as partners in a dance. First one is the focus, then the other — back and forth, back and forth. Your job, your art, is to choreograph and perform that dance skillfully, until it naturally takes you into vibrant stillness of body, breath, mind, and heart. This entry was posted in Yoga, Yoga Teacher Training and tagged The Deeper Teachings. Bookmark the permalink. 2 – I have to be aware when teaching yoga classes not to prolong the pauses too much as I probably enjoy them for longer than most. 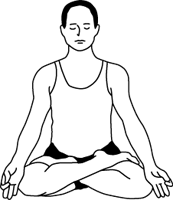 3 – Kevala Kumbhaka – does this refer to stillness of the breath after exhalation, after inhalation, or either. Kevala kumbhaka refers to either post-inhalation or post-exhalation, but deep, prolonged kevala kumbhaka comes only after exhalation. Gyandev, thank you for this super helpful article. Personal testimonies always resonate well with students and with your blessing I’d love to print and distribute to my new students. The only Yoga here in Doha are flow based classes. I will be starting classes soon and am looking forward to offering something different to the eager seekers. Thank you for your continued guidance. And by the way, if you give printed handouts, please credit the source: Yoga Teacher Support Center at ExpandingLight.org. Thanks very much. Thanks, Gyandev, for the updated version of this most timely article. I am teaching meditation this month, and the next session will be about the Hong Sau technique. Glad you’re teaching meditation, too, Susan. All the best to you. May I use it with students and clients, of course citing you as the author? I teach most of my Life Coaching clients how to meditate and use the breath. And of course Hatha Yoga clients would love this. I learnt hatha yoga in former Yugoslavia and was very surprised to find that English hatha yoga didn’t have pauses, nor did work on poses properly. It was just a sun salute after another sun salute after another sun salute – which eventually stopped me from going to yoga classes. I haven’t tried Ananda yoga, but it sounds that it is just a different name for what is the original hatha yoga. Very true, Natasa. We do think of Ananda Yoga as a return to the roots of hatha yoga, not only from the perspective of pausing between active asanas, but also from the perspective of using the asanas and pranayamas as tools for raising awareness. There is nothing wrong with the sun salutation, but there is more to hatha yoga — and getting the most out of hatha yoga — than that. Dear Gyandev, what a beautiful way of explaining the ‘dance’. With your permission may i share some parts of it on our Ananda India Facebook page and also with our Ananda Yoga teacher network? Certainly, Jyoti. In fact, why not share with your network this link to the entire Yoga Teacher Support Center?